The traditional gulet or g�let is the most luxurious motor sailer available in the Mediterranean. These motor sailers are fully crewed and can be found primarily along the Turkish coasts near Izmir, Bodrum, Marmaris, Fethiye and Antalya, but also in the adjacent Greek waters: the Dodecanese. 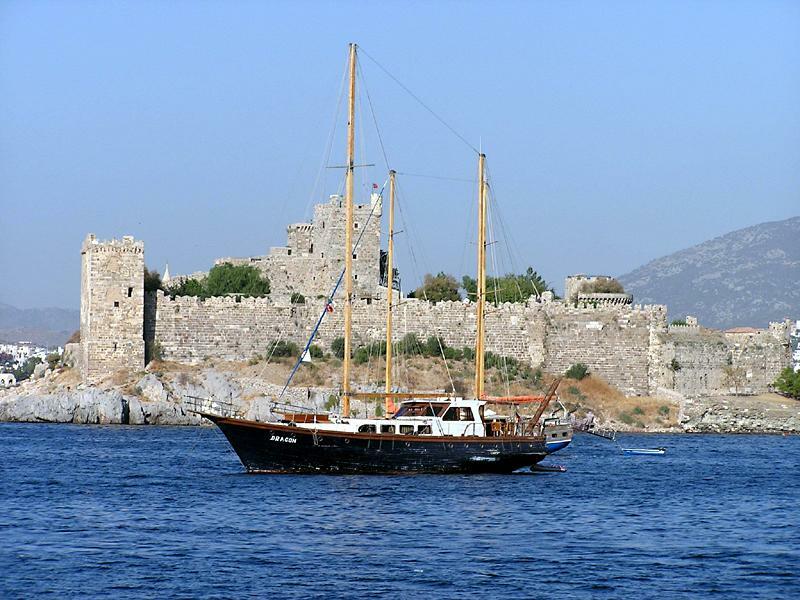 Cruises onboard these motor sailers will often be full board and will be full packaged holidays with excursions to several ancient archaeological sites that are dotted along these enchanting coasts of Turkey. the personal and private atmosphere on board; the chef will be your chef and cook what you would like to eat. You dictate the route, schedule and activities during your cruise. You will be able to visit the lovely smaller ports and hamlets, totally inaccessible by cruise ships. Because of these reasons, cruising the Turkish coasts with motor sailers is becoming more and more popular. Motor sailers are also known as gullets, gulets or goulettes.